There is no better recognized San Francisco landmark than the Golden Gate Bridge. One of the very best views of the bridge and the city is from Battery Spencer, north across the bridge. And while this vantage point is a popular spot for photographers, it was a unique point of view for me. Walking in the darkness through the remains of the Battery — following dirt paths past crumbling and decaying buildings, up an old flight of concrete stairs, flashlight guiding our way — is fairly spooky late at night. But then to come upon this sight? Breathtaking. Being able to shoot it like this? Pure magic. Today’s Photography 101 Assignment: Landmarks are everywhere: iconic places, meeting points, markers on a map. Today, consider a unique point of view as you photograph a landmark. 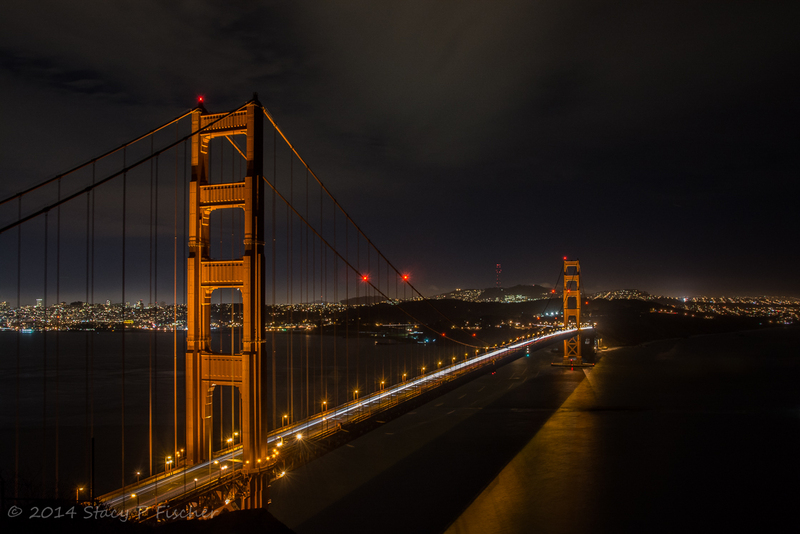 This entry was posted in Architecture, California, Cityscapes, Photo Challenges and tagged bridges, Golden Gate, landmarks, nighttime, photo101, photography, San Francisco. Bookmark the permalink. Absolutely breathtaking! So worth that scary climb! Thanks, Susan! Coming over the crest and seeing this view is a moment etched in my memory forever!! 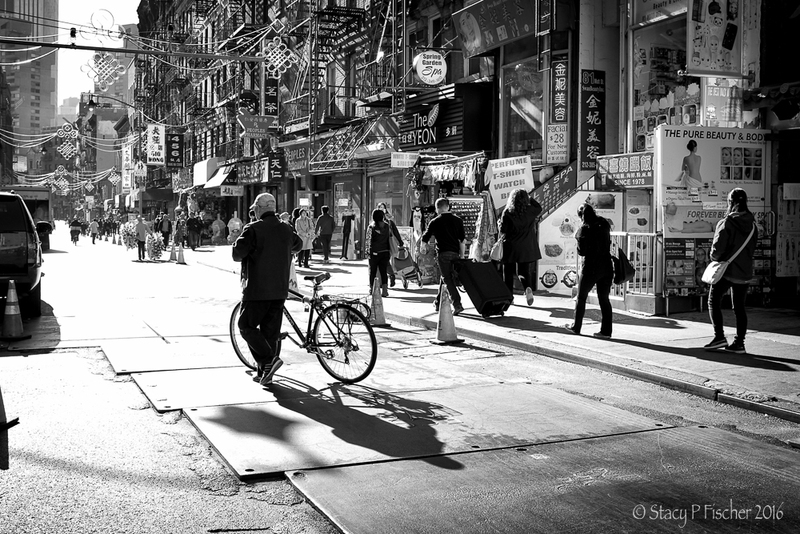 These San Francisco shots highlight just how good a photographer, an artist, you are. I hope to one day produce something half as good! Just amazing! Thanks, Janice. Wonderful indeed. An experience I will forever remember, even had I not captured it with a camera! Very nice image. I’ve been to that spot a few times and I know it’s not an easy shot. And, actually, I think the star effect did show up–at least when I clicked on the image and saw the larger size on my screen. After all, F/11 isn’t that far awat from f/16! Excellent job. Magic, indeed! Perfect and beautiful night shot! 🙂 Love to see more of you night shots! Hi, Madhu! Seeing you pop up in my comments just made me smile. It’s been too long since we’ve connected – I must get over to your blog and see what you’ve been up to! Thanks so much for stopping by and commenting. Hope all is well! Beautiful photo Stacy, you’ve pulled out the big guns on this one 🙂 stunning! Thanks for posting your camera settings. So many photos of the bridge, but yours captures me. I like the shadow on the water. Way to go. Oh, what a nice thing to say. So glad you like it. Truly, coming round the bend and seeing it in all its glory was a sight I would forever remember, even without the picture! And you’re welcome about the settings. Revisiting them helps me learn too. Thanks for commenting! Brilliant photo. I have a weakness for night shots and especially for good night photography like this. Personally I would probably have used a smaller aperture, to get the “stars” from the artificial lights more clear, but it looks very nice at F/11 too! Stacey, this is a great photo. Well done. Thanks, Bruce! I appreciate your comment.